For most of his career, Bethe was a professor at Cornell University. During World War II, he was head of the Theoretical Division at the secret Los Alamos laboratory which developed the first atomic bombs. There he played a key role in calculating the critical mass of the weapons and developing the theory behind the implosion method used in both the Trinity test and the “Fat Man” weapon dropped on Nagasaki in August 1945. His scientific research never ceased and he was publishing papers well into his nineties, making him one of the few scientists to have published at least one major paper in his field during every decade of his career – which, in Bethe’s case, spanned nearly seventy years. Freeman Dyson, once one of his students, called him the “supreme problem-solver of the 20th century”. His father accepted a position as professor and director of the Institute of Physiology at the University of Kiel in 1912, and the family moved into the director’s apartment at the Institute. He was initially schooled privately by a professional teacher as part of a group of eight girls and boys. The family moved again in 1915 when his father became the head of the new Institute of Physiology at the University of Frankfurt am Main. Bethe entered the University of Munich in April 1926, where Sommerfeld took him on as a student on Meissner’s recommendation. Sommerfeld taught an advanced course on differential equations in physics, which Bethe enjoyed. Because he was such a renowned scholar, Sommerfeld frequently received advance copies of scientific papers, which he put up for discussion at weekly evening seminars. When Bethe arrived, Sommerfeld had just received Erwin Schrödinger‘s papers on wave mechanics. After Bethe received his doctorate, Erwin Madelung offered him an assistantship in Frankfurt, and in September 1928 Bethe moved in with his father, who had recently divorced his mother. His father met Vera Congehl earlier that year, and married her in 1929. They had two children, Doris, born in 1933, and Klaus, born in 1934. Bethe did not find the work in Frankfurt very stimulating, and in 1929 he accepted an offer from Ewald at the Technische Hochschule in Stuttgart. While there, he wrote what he considered to be his greatest paper, Zur Theorie des Durchgangs schneller Korpuskularstrahlen durch Materie (“The Theory of the Passage of Fast Corpuscular Rays Through Matter”). Starting from Max Born‘s interpretation of the Schrödinger equation, Bethe produced a simplified formula for collision problems using a Fourier transform, which is known today as the Bethe formula. He submitted this paper for his habilitation in 1930. Sommerfeld recommended Bethe for a Rockefeller Foundation Travelling Scholarship in 1929. This provided $150 a month (about $2,000 in 2016 dollars[A]) to study abroad. In 1930, Bethe chose to do postdoctoral work at the Cavendish Laboratory at the University of Cambridge in England, where he worked under the supervision of Ralph Fowler. At the request of Patrick Blackett, who was working with cloud chambers, Bethe created a relativistic version of the Bethe formula. Bethe was also known for his sense of humor, and with Guido Beck and Wolfgang Riezler, two other postdoctoral research fellows, created a hoax paper On the Quantum Theory of the Temperature of Absolute Zero where he calculated the fine structure constant from the absolute zero temperature in Celsius units. The paper poked fun at a certain class of papers in theoretical physics of the day, which were purely speculative and based on spurious numerical arguments such as Arthur Eddington‘s attempts to explain the value of the fine structure constant from fundamental quantities in an earlier paper. They were forced to issue an apology. For the second half of his scholarship, Bethe chose to go to Enrico Fermi‘s laboratory in Rome in February 1931. He was greatly impressed by Fermi and regretted that he had not gone to Rome first. Bethe developed the Bethe ansatz, a method for finding the exact solutions for the eigenvalues and eigenvectors of certain one-dimensional quantum many-body models. He was influenced by Fermi’s simplicity and Sommerfeld’s rigor in approaching problems, and these qualities influenced his own later research. The Rockefeller Foundation offered an extension of Bethe’s fellowship, allowing him to return to Italy in 1932. In the meantime, Bethe worked for Sommerfeld in Munich as a privatdozent. Since Bethe was fluent in English, Sommerfeld had Bethe supervise all his English-speaking postdoctoral fellows, including Lloyd P. Smith from Cornell University. Bethe accepted a request from Karl Scheel to write an article for the Handbuch der Physik on the quantum mechanics of hydrogen and helium. Reviewing the article decades later, Robert Bacher and Victor Weisskopf noted that it was unusual in the depth and breadth of its treatment of the subject, yet required very little updating for the 1959 edition. Bethe was then asked by Sommerfeld to help him with the handbuch article on electrons in metals. The article covered the basis of what is now called solid state physics. Bethe took a very new field and provided a clear, coherent and complete coverage of it. His work on the handbuch articles occupied most of his time in Rome, but he also co-wrote a paper with Fermi on another new field, quantum electrodynamics, describing the relativistic interactions of charged particles. Bethe left Germany in 1933, moving to England after receiving an offer for a position as lecturer at the University of Manchester for a year through Sommerfeld’s connection to William Lawrence Bragg. He moved in with his friend Rudolf Peierls and Peierls’ wife Genia. Peierls was a fellow German physicist who had also been barred from academic positions in Germany because his parents were Jewish. This meant that Bethe had someone to speak to in German, and did not have to eat English food. Their relationship was professional as well as personal. Peierls aroused Bethe’s interest in nuclear physics. After James Chadwick and Maurice Goldhaber discovered the photodisintegration of deuterium, Chadwick challenged Bethe and Peierls to come up with a theoretical explanation of this phenomenon. This they did on the four-hour train ride from Cambridge back to Manchester. Bethe would investigate further in the years ahead. In 1933, the physics department at Cornell was looking for a new theoretical physicist, and Lloyd Smith strongly recommended Bethe. This was supported by Bragg, who was visiting Cornell at the time. In August 1934, Cornell offered Bethe a position as an acting assistant professor. Bethe had already accepted a fellowship for a year to work with Nevill Mott at the University of Bristol for a semester, but Cornell agreed to let him start in the spring of 1935. Before leaving for the United States, he visited the Niels Bohr Institute in Copenhagen in September 1934, where he proposed to Hilde Levi, who accepted. However, the match was opposed by Bethe’s mother, who did not want him marrying a Jewish girl, and Bethe broke off their engagement a few days before their wedding date in December. Bethe arrived in the United States in February 1935, and joined the faculty at Cornell University on a salary of $3,000. Bethe’s appointment was part of a deliberate effort on the part of the new head of its physics department, Roswell Clifton Gibbs, to move into nuclear physics. Gibbs had hired Stanley Livingston, who had worked with Ernest Lawrence, to build a cyclotron at Cornell. To complete the team, Cornell needed an experimentalist, and, on the advice of Bethe and Livingston, recruited Robert Bacher. Bethe received requests to visit Columbia University from Isidor Isaac Rabi, Princeton University from Edward Condon, University of Rochester from Lee DuBridge, Purdue University from Karl Lark-Horovitz, the University of Illinois at Urbana–Champaign from Francis Wheeler Loomis, and Harvard University from John Hasbrouck Van Vleck. Gibbs moved to prevent Bethe from being poached by having him appointed as a regular assistant professor in 1936, with an assurance that promotion to professor would soon follow. The two papers, one on the proton–proton cycle, co-authored with Critchfield, and the other on the carbon-oxygen-nitrogen (CNO) cycle, were sent to the Physical Review for publication. After Kristallnacht, Bethe’s mother had become afraid to remain in Germany. Taking advantage of her Strasbourg origin, she was able to emigrate to the United States in June 1939 on the French quota, rather than the German one, which was full. Bethe’s graduate student Robert Marshak noted that the New York Academy of Sciences was offering a $500 prize for the best unpublished paper on the topic of solar and stellar energy. So Bethe, in need of $250 to release his mother’s furniture, withdrew the CNO cycle paper and sent it in to the New York Academy of Sciences. It won the prize, and Bethe gave Marshak $50 finder’s fee and used $250 to release his mother’s furniture. The paper was subsequently published in the Physical Review in March. It was a breakthrough in the understanding of the stars, and would win Bethe the Nobel Prize in Physics in 1967. In 2002, at age 96, Bethe sent a handwritten note to John N. Bahcall congratulating him on the use of solar neutrino observations to show that the CNO cycle accounts for about 7% of the Sun’s energy; the neutrino observations had started with Raymond Davis Jr., whose experiment was based on Bahcall’s calculations and encouragement, and led to Davis’s receiving a share of the 2002 Nobel Prize. When Oppenheimer was put in charge of forming a secret weapons design laboratory, Los Alamos, he appointed Bethe director of the T (Theoretical) Division, the laboratory’s smallest but most prestigious division. This move irked the equally qualified but more difficult to manage Teller and Felix Bloch, who had coveted the job. A series of disagreements between Bethe and Teller between February and June 1944 over the relative priority of Super research led to Teller’s group being removed from T Division and placed directly under Oppenheimer. In September it became part of Fermi’s new F Division. In 1954, Bethe testified on behalf of J. Robert Oppenheimer during the Oppenheimer security hearing. Specifically, Bethe argued that Oppenheimer’s stances against developing the hydrogen bomb in the late 1940s had not hindered its actual development, a topic which was seen as a key motivating factor behind the hearing. Bethe contended that the developments which led to the successful Teller–Ulam design were a matter of serendipity and not a question of manpower or logical development of previously existing ideas. During the hearing, Bethe and his wife also tried hard to convince Edward Teller against testifying. However, Teller did not agree, and his testimony played a major role in the revocation of Oppenheimer’s security clearance. While Bethe and Teller had been on very good terms during the prewar years, the conflict between them during the Manhattan Project, and especially during the Oppenheimer episode, permanently marred their relationship. After the war ended, Bethe returned to Cornell. In June 1947, he participated in the Shelter Island Conference. Sponsored by the National Academy of Sciences and held at Shelter Island, New York, the conference on the “Foundations of Quantum Mechanics” was the first major physics conference held since the war. It was a chance for American physicists to come to together, pick up where they had left off before the war, and establish the direction of post-war research. A major talking point at the conference was the discovery by Willis Lamb and his graduate student Robert Retherford shortly before the conference began that one of the two possible quantum states of hydrogen atoms had slightly more energy than predicted by the Paul Dirac‘s theory; this became known as the Lamb shift. Oppenheimer and Weisskopf suggested that this was a result of quantum fluctuations of the electromagnetic field. Pre-war quantum electrodynamics (QED) gave absurd, infinite values for this; but the Lamb shift showed that it was both real and finite. Hans Kramers proposed renormalization as a solution, but no one knew how to do the calculation. One of Bethe’s most famous papers is one he never wrote: the 1948 Alpher–Bethe–Gamow paper. George Gamow added Bethe’s name (in absentia) without consulting him, knowing that Bethe would not mind, and against Ralph Alpher‘s wishes. This was apparently a reflection of Gamow’s sense of humor, wanting to have a paper title that would sound like the first three letters of the Greek alphabet. As one of the Physical Review’s reviewers, Bethe saw the manuscript and struck out the words “in absentia”. Bethe believed that the atomic nucleus was like a quantum liquid drop. He investigated the nuclear matter problem by considering the work done by Keith Brueckner on perturbation theory. Working with Jeffrey Goldstone, he produced a solution for the case where there was an infinite hard-core potential. Then, working with Baird Brandow and Albert Petschek, he came up with an approximation that converted the scattering equation into an easily solved differential equation. This then led him to the Bethe-Faddeev equation, a generalisation of Ludvig Faddeev‘s approach to three-body scattering. He then used these techniques to examine the neutron stars, which have densities similar to those of nuclei. In 1996, Kip Thorne approached Bethe and Brown about LIGO, the Laser Interferometer Gravitational-Wave Observatory, designed to detect the gravitational waves from merging neutron stars and black holes. Since Bethe and Brown were good at calculating things that could not be seen, could they look at the mergers? The 90-year-old Bethe quickly became enthused, and soon began the required calculations. The result was a 1998 paper on the “Evolution of Binary Compact Objects Which Merge”, which Brown regarded as the best that the two produced together. In the 1980s he and other physicists opposed the Strategic Defense Initiative missile system conceived by the Ronald Reagan administration. In 1995, at the age of 88, Bethe wrote an open letter calling on all scientists to “cease and desist” from working on any aspect of nuclear weapons development and manufacture. In 2004, he joined 47 other Nobel laureates in signing a letter endorsing John Kerry for President of the United States as someone who would “restore science to its appropriate place in government”. When Oppenheimer died, Oppie’s long-time friend, Hans Bethe, assumed the mantle of the scientist of conscience in this country. Like Jefferson and Adams, Teller and Bethe would live on into the new century which they and their colleagues had done so much to shape. Bethe’s hobbies included a passion for stamp-collecting. He loved the outdoors, and was an enthusiastic hiker all his life, exploring the Alps and the Rockies. He died in his home in Ithaca, New York on March 6, 2005  of congestive heart failure. He was survived by his wife Rose and two children. At the time of his death, he was the John Wendell Anderson Emeritus Professor of Physics Emeritus at Cornell University. Bethe received numerous honors and awards in his lifetime and afterwards. He became a Fellow of the American Academy of Arts and Sciences in 1947, and that year was received the National Academy of Sciences‘s Henry Draper Medal. He was awarded the Max Planck Medal in 1955, the Franklin Medal in 1959, the Royal Astronomical Society‘s Eddington Medal and the United States Atomic Energy Commission‘s Enrico Fermi Award in 1961, the Rumford Prize in 1963, the Nobel Prize in Physics in 1967,the National Medal of Science in 1975, Oersted Medal in 1993, the Bruce Medal in 2001, and the Benjamin Franklin Medal for Distinguished Achievement in the Sciences by the American Philosophical Society posthumously in 2005. Cornell named the third of five new residential colleges, each of which is named after a distinguished former member of the Cornell faculty, Hans Bethe House after him, as was the Hans Bethe Center, 322 4th St. NE, Washington, DC, home to the Council for a Livable World, where Bethe was a longtime board member, and the Bethe Center for Theoretical Physics at University of Bonn in Germany. He also has an asteroid, 30828 Bethe, that was discovered in 1990 named after him, as was the American Physical Society‘s Hans Bethe Prize. Bethe, H. A. “Theory of High Frequency Rectification by Silicon Crystals”, Massachusetts Institute of Technology (MIT) Radiation Laboratory, United States Department of Energy (through predecessor agency the Atomic Energy Commission), (October 29, 1942). Bethe, H. A. “Theoretical Estimate of Maximum Possible Nuclear Explosion”, Knolls Atomic Power Laboratory-Schenectady, N.Y., United States Department of Energy (through predecessor agency the Atomic Energy Commission), (January 31, 1950). Bethe, H. A.; Rajaraman, R. “Three-body Problem in Nuclear Matter”, University of Southern California-Los Angeles, United States Department of Energy (through predecessor agency the Atomic Energy Commission), (1967). Bethe, H. A. “Note on Inverse Bremsstrahlung in a Strong Electromagnetic Field”, Los Alamos National Laboratory (LANL), United States Department of Energy (through predecessor agency the Atomic Energy Commission), (September 1972). Bethe, H. A. “Pauli Principle and Pion Scattering”, Los Alamos National Laboratory (LANL), United States Department of Energy (through predecessor agency the Atomic Energy Commission), (October 1972). Bethe, H. A. “Fusion Hybrid Reactor”, Sandia National Laboratories, United States Department of Energy, (August 1981). Jump up^ Federal Reserve Bank of Minneapolis Community Development Project. “Consumer Price Index (estimate) 1800–”. Federal Reserve Bank of Minneapolis. Retrieved January 2, 2017. ^ Jump up to:a b c Lee, S.; Brown, G. E. (2007). “Hans Albrecht Bethe. 2 July 1906 — 6 March 2005: Elected ForMemRS 1957”. Biographical Memoirs of Fellows of the Royal Society. 53: 1. doi:10.1098/rsbm.2007.0018. Jump up^ Horgan, John (1992). “Illuminator of the Stars”. Scientific American. 267 (4): 32. doi:10.1038/scientificamerican1092-32. Jump up^ Available at http://www.JamesKeckCollectedWorks.org  are the class notes taken by one of his students at Cornell from the graduate courses on Nuclear Physics and on Applications of Quantum Mechanics he taught in the spring of 1947. Jump up^ Wark, David (11 January 2007). “The Supreme Problem Solver”. Nature. 445 (7124): 149. Bibcode:2007Natur.445..149W. doi:10.1038/445149a. Jump up^ Bernstein 1980, p. 7. Jump up^ Bernstein 1980, p. 8. ^ Jump up to:a b Schweber 2012, pp. 32–34. Jump up^ Brian 2001, p. 117. Jump up^ Schweber 2012, pp. 30–31. Jump up^ Schweber 2012, pp. 36–40. Jump up^ Schweber 2012, p. 45. ^ Jump up to:a b Bernstein 1980, pp. 11–12. Jump up^ Schweber 2012, pp. 70–73. Jump up^ Bernstein 1980, p. 13. Jump up^ Schweber 2012, p. 93. Jump up^ Schweber 2012, pp. 118–119. Jump up^ Bernstein 1980, pp. 15–16. Jump up^ Bernstein 1980, pp. 20–21. ^ Jump up to:a b Schweber 2012, p. 142. Jump up^ Schweber 2012, pp. 156–157. ^ Jump up to:a b Bernstein 1980, pp. 25–27. Jump up^ Bethe, Hans (1930). “Zur Theorie des Durchgangs schneller Korpuskularstrahlen durch Materie”. Annalen der Physik (in German). 397 (3): 325–400. Bibcode:1930AnP…397..325B. doi:10.1002/andp.19303970303. Jump up^ Schweber 2012, p. 181. Jump up^ Brown & Lee 2006, p. 7. Jump up^ Schweber 2012, pp. 182–183. Jump up^ Schweber 2012, p. 187. Jump up^ Corlin, Axel; Stein, J. S.; Beck, G.; Bethe, H.; Riezler, W. (1931). “Zuschriften”. Die Naturwissenschaften. 19 (2): 37. Bibcode:1931NW…..19…37C. doi:10.1007/BF01523870. Jump up^ Schweber 2012, pp. 190–192. Jump up^ Schweber 2012, p. 193. Jump up^ Schweber 2012, pp. 199–202. Jump up^ Schweber 2012, p. 195. ^ Jump up to:a b Schweber 2012, pp. 202–208. Jump up^ Bernstein 1980, p. 32. Jump up^ Schweber 2012, pp. 211, 220–221. Jump up^ Bernstein 1980, p. 33. Jump up^ Schweber 2012, pp. 223–224. ^ Jump up to:a b Bernstein 1980, p. 35. Jump up^ Schweber 2012, pp. 237–240. ^ Jump up to:a b Schweber 2012, p. 244. Jump up^ Chadwick, J.; Goldhaber, M. (1934). “A ‘Nuclear Photo-effect’: Disintegration of the Diplon by γ-Rays”. Nature. 134 (3381): 237. Bibcode:1934Natur.134..237C. doi:10.1038/134237a0. Jump up^ Brown & Lee 2009, p. 9. Jump up^ Schweber 2012, pp. 262–263. Jump up^ Schweber 2012, pp. 272–275. Jump up^ Brown & Lee 2006, p. 136. ^ Jump up to:a b Schweber 2012, pp. 296–298. Jump up^ Schweber 2012, pp. 305–307. Jump up^ Bethe, H.; Bacher, R (1936). “Nuclear Physics. A: Stationary States of Nuclei”. Reviews of Modern Physics. 8 (2): 82–229. Bibcode:1936RvMP….8…82B. doi:10.1103/RevModPhys.8.82. Jump up^ Bethe, H. (1937). “Nuclear Physics. B: Nuclear Dynamics, Theoretical”. Reviews of Modern Physics. 9 (2): 69–244. Bibcode:1937RvMP….9…69B. doi:10.1103/RevModPhys.9.69. Jump up^ Bethe, H.; Livingston, M. S. (1937). “Nuclear Physics. C: Nuclear Dynamics, Experimental”. Reviews of Modern Physics. 9 (2): 245–390. Bibcode:1937RvMP….9..245L. doi:10.1103/RevModPhys.9.245. Jump up^ Brown & Lee 2009, p. 11. Jump up^ Schweber 2012, p. 313. Jump up^ Schweber 2012, p. 370. ^ Jump up to:a b Bernstein 1980, pp. 45–47. Jump up^ Schweber 2012, pp. 345–347. Jump up^ Schweber 2012, p. 347. Jump up^ Schweber 2012, pp. 348–350. ^ Jump up to:a b Schweber 2012, pp. 351–352. Jump up^ Bernstein 1980, p. 39. Jump up^ Bernstein 1980, pp. 51–52. Jump up^ Brown & Lee 2006, p. 149. Jump up^ Bernstein 1980, pp. 54–55. ^ Jump up to:a b “Hans Bethe – Biographical”. The Nobel Foundation. Retrieved July 7, 2013. Jump up^ Truscott, Alan. “Bridge: Son of Nobel Prize Winner Is Famed in His Own Right”. The New York Times. February 24, 1988. Retrieved April 11, 2015. Jump up^ Schweber 2012, p. 382. Jump up^ Brown & Lee 2006, p. 143. Jump up^ Bernstein 1980, p. 61. Jump up^ Brown & Lee 2009, pp. 13–14. Jump up^ Brown & Lee 2009, p. 13. Jump up^ Hoddeson et al. 1993, pp. 42–47. ^ Jump up to:a b Weil, Martin (March 8, 2005). “Hans Bethe Dies; Nobel Prize Winner Worked on A-Bomb”. The Washington Post. p. B06. Jump up^ Hoddeson et al. 1993, pp. 92–83. Jump up^ Szasz 1992, pp. 19–20. Jump up^ Hoddeson et al. 1993, pp. 204, 246. Jump up^ Hoddeson et al. 1993, pp. 179–184. Jump up^ Hoddeson et al. 1993, p. 129. Jump up^ Hoddeson et al. 1993, pp. 308–310. Jump up^ Hoddeson et al. 1993, pp. 344–345. Jump up^ Peplow, Mark (March 8, 2005). “Hans Bethe – Nuclear physicist dies at 98”. Nature. doi:10.1038/news050307-7. Jump up^ Bernstein 1980, pp. 92–96. ^ Jump up to:a b Schweber 2000, p. 166. Jump up^ Bernstein 1980, pp. 97–99. Jump up^ Brown & Lee 2006, p. 166. ^ Jump up to:a b Brown & Lee 2006, pp. 157–158. Jump up^ Brown & Lee 2009, p. 15. Jump up^ H. Bethe (1947). “The Electromagnetic Shift of Energy Levels”. Physical Review. 72 (4): 339–341. Bibcode:1947PhRv…72..339B. doi:10.1103/PhysRev.72.339. Jump up^ Brown & Lee 2006, pp. 158–159. Jump up^ Alpher, R. A.; Bethe, H.; Gamow, G. (1 April 1948). “The Origin of Chemical Elements” (PDF). Physical Review. 73 (7): 803–804. Bibcode:1948PhRv…73..803A. doi:10.1103/PhysRev.73.803. Retrieved March 10, 2011. Jump up^ Bernstein 1980, p. 46. Jump up^ Brown & Lee 2006, pp. 165–171. Jump up^ “Hans A. Bethe Prize winners”. American Physical Society. Retrieved July 7, 2013. Jump up^ Brown & Lee 2006, pp. 176–180. Jump up^ Brown & Lee 2006, pp. 151–153. Jump up^ Bahcall, J.N. ; Bethe, H.A. (1990). “A solution of the solar neutrino problem”. Physical Review Letters. 65 (18): 2233–2235. Bibcode:1990PhRvL..65.2233B. doi:10.1103/PhysRevLett.65.2233. Jump up^ Brown & Lee 2006, p. 182. Jump up^ Bethe, Hans A.; Brown, G. E. (1998). “Evolution of Binary Compact Objects That Merge”. Astrophysical Journal. 506 (2): 780–789. arXiv:astro-ph/9802084  . Bibcode:1998ApJ…506..780B. doi:10.1086/306265. Jump up^ Garwin, R. L.; Bethe, H.A. (March 1968). “Anti-Ballistic Missile Systems”. Scientific American. 218 (3): 21–31. doi:10.1038/scientificamerican0368-21. Jump up^ Bernstein 1980, pp. 107–112. Jump up^ Rhodes, Richard. “Chernobyl”. PBS. Retrieved July 6, 2013. Jump up^ Brown & Lee 2006, p. 266. Jump up^ Bethe 1991, pp. 113–131. Jump up^ “Hans Albrecht Bethe”. Nuclear Age Peace Foundation. Retrieved July 6, 2013. Jump up^ “48 Nobel Winning Scientists Endorse Kerry-June 21, 2004”. George Washington University. Retrieved July 6, 2013. Jump up^ Herken 2002, p. 334. Jump up^ Schweber 2012, p. 44. Jump up^ Brown & Lee 2006, pp. 126–128. Jump up^ Tucker, Anthony (March 8, 2005). “Obituary: Hans Bethe”. The Guardian. Jump up^ “Hans Bethe”. Array of Contemporary Physicists. Retrieved July 7, 2013. Jump up^ “Book of Members, 1780–2010: Chapter B” (PDF). American Academy of Arts and Sciences. Retrieved June 24, 2011. Jump up^ “Henry Draper Medal”. National Academy of Sciences. Archived from the original on July 22, 2012. Retrieved February 24, 2011. Jump up^ Brown & Lee 2009, p. 17. Jump up^ “Past Recipients of the Rumford Prize”. American Academy of Arts and Sciences. Archived from the original on September 27, 2012. Retrieved February 24, 2011. Jump up^ “The President’s national Medal of Science”. National Science Foundation. Jump up^ “Oersted Medal”. Retrieved July 7, 2013. Jump up^ “Benjamin Franklin Medal for Distinguished Achievement in the Sciences Recipients”. American Philosophical Society. Retrieved November 26, 2011. Jump up^ Bethe, Hans A. (1994). “Mechanism of Supernovae”. Phil. Trans. R. Soc. London. A 346: 251–258. Jump up^ “Hans Bethe House”. Cornell University. Retrieved July 7, 2013. Jump up^ “Council for a Livable World, Our Legacy”. Retrieved July 7, 2013. Jump up^ “Bethe Center for Theoretical Physics”. Retrieved July 7, 2013. Jump up^ “JPL Small-Body Database Browser on 30828 Bethe”. NASA. Retrieved July 7, 2013. Jump up^ “Hans A. Bethe Prize Prize for astrophysics, nuclear physics, nuclear astrophysics and related fields”. American Physical Society. Retrieved July 7, 2013. Szasz, Ferenc Morton (1992). British Scientists and the Manhattan Project: the Los Alamos Years. New York: St. Martin’s Press. ISBN 978-0-312-06167-8. OCLC 23901666. O’Connor, John J.; Robertson, Edmund F., “Hans Bethe”, MacTutor History of Mathematics archive, University of St Andrews . Bowley, Roger; Merrifield, Michael; Padilla, Antonio (Tony). “αβγ – The Alpha Beta Gamma Paper”. Sixty Symbols. Brady Haran for the University of Nottingham. Could you take 3 minutes and attempt to refute the nihilistic message of the song which appears at the beginning of the enclosed tape? Back in 1980 I watched the series COSMOS and on May 5, 1994 I again sat down to watch it again. In this letter today I will tell you of 3 GENTLEMEN who contemplated the world around them. The first one is an evolutionist by the name of Carl Sagan. Mr. Sagan is what I would call a humanist full of optimism. 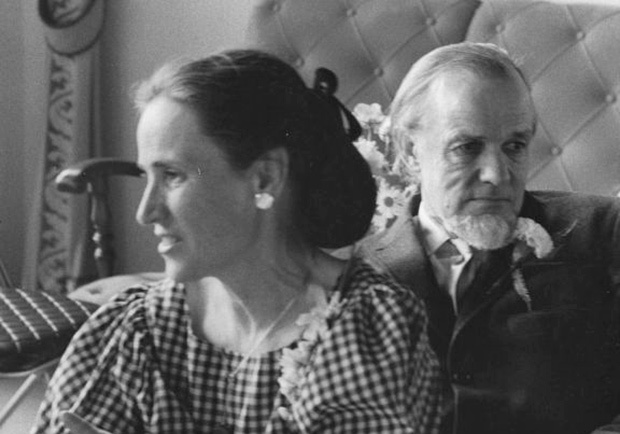 The third man I want to mention is Francis Schaeffer who I believe was the greatest Christian philosopher of the 20th century. However, when he was a young agnostic many years ago he also had an experience similar to King Solomon’s when he contemplated the world and universe around him. contemplated the world and the universe around him. KING SOLOMON: Ecclesiastes 1:2-11;3:18-19 (Living Bible): 2 In my opinion, nothing is worthwhile; everything is futile. 3-7 For what does a man get for all his hard work? Generations come and go, but it makes no difference. [b] The sun rises and sets and hurries around to rise again. The wind blows south and north, here and there, twisting back and forth, getting nowhere. * The rivers run into the sea, but the sea is never full, and the water returns again to the rivers and flows again to the sea . .everything is unutterably weary and tiresome. No matter how much we see, we are never satisfied; no matter how much we hear, we are not content. History merely repeats itself…For men and animals both breathe the same air, and both die. So mankind has no real advantage over the beasts; what an absurdity! FRANCIS SCHAEFFER: There is no doubt in my mind that Solomon had the same experience in his life that I had as a younger man (at the age of 18 in 1930). I remember standing by the sea and the moon arose and it was copper and beauty. Then the moon did not look like a flat dish but a globe or a sphere since it was close to the horizon. One could feel the global shape of the earth too. Then it occurred to me that I could contemplate the interplay of the spheres and I was exalted because I thought I can look upon them with all their power, might, and size, but they could contempt nothing. Then came upon me a horror of great darkness because it suddenly occurred to me that although I could contemplate them and they could contemplate nothing yet they would continue to turn in ongoing cycles when I saw no more forever and I was crushed. 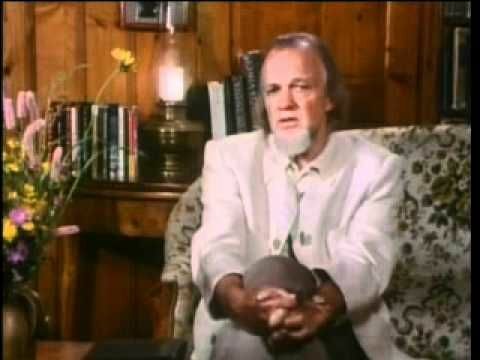 Solomon died 3000 years ago and Francis Schaeffer passed away on May 15, 1984 exactly 10 years ago. Suppose that you to learn that you only had just one year to live—the number of your days would be 365. What would you do with the precious few days that remained to you? With death stalking you, you would have little interest in trivial subjects and would instead be concerned with essentials. I know that is what I did when I was bed ridden in a hospital in Memphis at age 15. I was told that I may not live. My thoughts turned to spiritual things. Thank you for your time. Tommy Hartung was born in 1979 in Akron, Ohio, and lives and works in New York. Growing up on a farm in upstate New York, Hartung spent countless days alone in the woods, building forts and living in a world of his imagination—which he considers the beginning of his artistic practice. Continuing to build fantastical worlds in his adult work, Hartung combines stop-motion animation and self-produced videos with found footage and cheap consumer technologies; all of his production sets are built in his studio using found objects. Employing sculpture and video, Hartung’s work addresses wide-ranging topics—such as the Bible and the history of colonialism—with a surrealist DIY aesthetic, tackling critical issues through streams of consciousness storytelling.